IMPORTANT! Your purchase price is locked in at the time we receive your order. To avoid any cancellation fees, please satisfy your obligations by sending your payments within the time frame according to the payment option you choose. All orders are final as you have made a binding agreement with DPM’s Trading Platform. If DPM does not receive your payment within the allotted time frame a $100 Cancellation fee will be applied to your credit card along with any market loss that DPM incurs. See Terms for more info. Also see Cancellation fees at the bottom of the PAYMENT page. This binding agreement applies whether you are buying from us or selling to us. Your Credit Card is needed to lock in the price at your time of purchase. Please note you CANNOT pay for your order with your credit card (unless you are paying via PayPal), however it is mandatory for you to provide us with your credit card information. DPM uses this information to initially secure and lock in your price at time of purchase and if need be charge your credit card for any cancellation fees. You may use the many payment methods available on the PAYMENT page. See TERMS for more info. Are your prices current and accurate?Yes, our prices are LIVE and updated every 15 seconds. 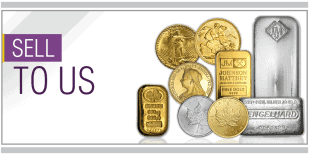 Why are your prices also in American & other currencies?Durham Precious Metals recognizes that the American dollar (USD) is recognized around the world for trade. 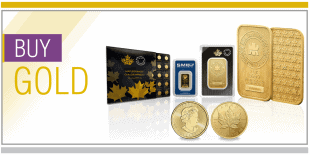 In Canada, even our radio stations broadcast the price of precious metals in the American dollar. For your convenience, we have a conversion button for American (USD) or Canadian (CAD) dollars. Select your choice of currency and the LIVE price along with all the product prices on the entire website will be converted for your convenience. What payment options are available?For more information please see our payment page. Do I have to pay HST on Metals?No. All Bullion .995+ are Tax Exempt because they are deemed financial instruments. Does Durham Precious Metals share our information with anyone else? All transactions are private & confidential. EXCEPT: Durham Precious Metals adheres to the requirements set forth by FINTRAC which stipulates that any CASH transactions exceeding $10,000 must be logged and reported. FINTRAC has been implemented to detect and deter money laundering. 3.2 When does a large cash transaction report have to be made? If you receive an amount of $10,000 or more in cash in the course of a single transaction. Each such transaction must be sent to FINTRAC separately, in its own report. if your employee or senior officer knows the transactions were made within 24 consecutive hours of each other by or on behalf of the same individual or entity. For more information please see the FINTRAC GUIDELINES. Are all shipments insured and Private? All shipments are FULLY INSURED, SIGNATURE RECEIVED, TRACKED & DISCRETELY MARKED for your added protection. Preparation and packing of every order is date and time stamped. Every order packaged is recorded on camera. We offer Fast shipping, Flat Rates with no hidden fees. To also ensure safe and secure shipping, Durham Precious Metals keeps your shipments private by not putting the words, precious metals, gold, or silver anywhere on your package being shipped. Nor does it have our name or return address. You are not liable for your order until you sign for it and take physical possession. Do you have any hidden fees?No. Your only costs are the prices we post on our website at your time of payment. Durham Precious Metals believes in transparency and making sure you know exactly what you are getting and how much money is expected for each transaction. You will not be surprised with hidden fees. How soon will my order ship?We ship your purchase once your payment clears. Depending on where you live, shipments are between 3-5 business days (sometimes sooner). What about this LOCKED-IN price?Your price is locked in at time of placing your order on our website. Do you offer quantity discount?Yes. When viewing our products on our website you will see the volume discounts listed. How much precious metals is recommended for my portfolio?Durham Precious Metals believes, depending on individual objectives, your net worth and risk tolerance, that there should always be 10-30% of an individual’s total portfolio value diversified in the precious metals market. Disclaimer: Durham Precious Metals is not responsible for the information it gives regarding opinions of investment options and the choices clients make. 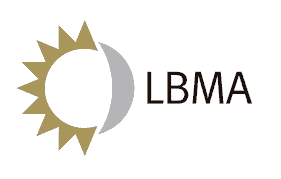 I want to learn all I can about investing in Gold & Silver how can you help me?Please contact us and we will be glad to help guide you through the process of understanding Precious Metals Investing. Also our website page have some videos to help you in your research. Learning about the history (and the futures forecast) of Precious Metals is a good start as it will help reassure you in your decisions. 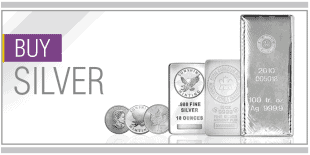 * Please keep in mind that investing in Precious Metals should not be a difficult task. It is not as complicated as some make it out to be. It is really quite a simple process and once you have experienced purchasing Metals you may be relieved at how simple, private & reassuring it can be. If you have a questions that have not been answered, please contact us by email or phone at 905.623.1555. We will be happy to help you in any way we can.